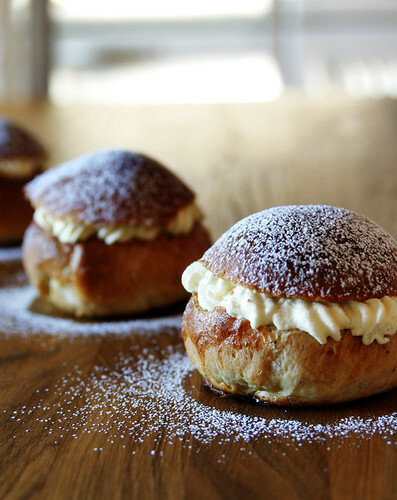 People in warmer climes have their carnivals, but in Finland the onset of Lent is celebrated with tobogganing followed by slow-cooked pea soup and Shrove buns (laskiaispulla/fastlagsbulle in Finland, semla in Sweden). Pea soup landed here during the 12th-century Crusades when the Swedish crusaders would fortify themselves for the Friday fast by filling up on this hearty dish on Thursday, which is how pea soup became a traditional Thursday meal in both Finland and Sweden (later on followed by a dessert of oven-baked pancake). 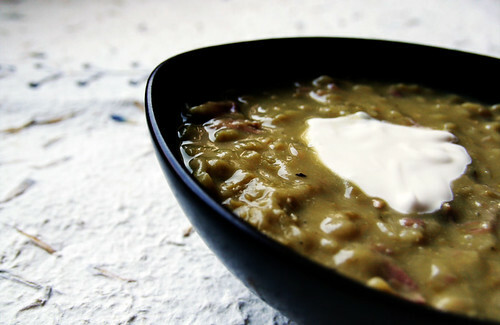 Naturally this was the first soup I thought of when reading about A Veggie Venture's Soup challenge. 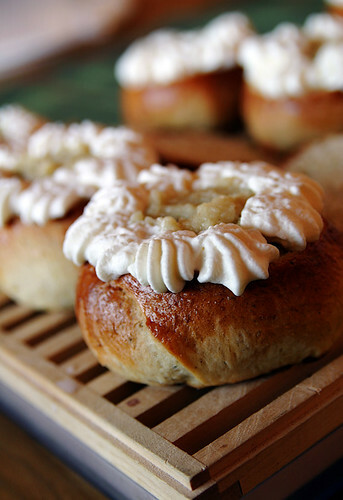 I've already talked about our sweet buns at some length. 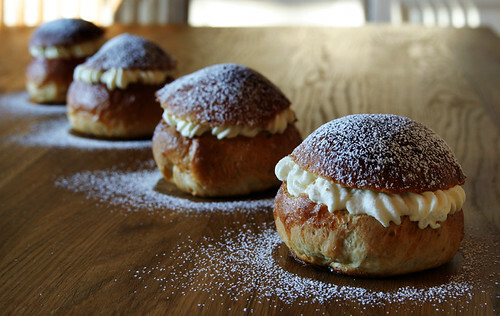 Shrovetide buns are plain "pulla" buns with a filling of ground almonds and whipped cream (there is some controversy between righteous almond-proponents and blasphemers who prefer to corrupt the creamy Shrovetide experience with jam, which I won't go into beyond saying that I AM RIGHT). You can eat them as is, but the REAL way to go is to serve them on a deep plate with steaming hot milk. 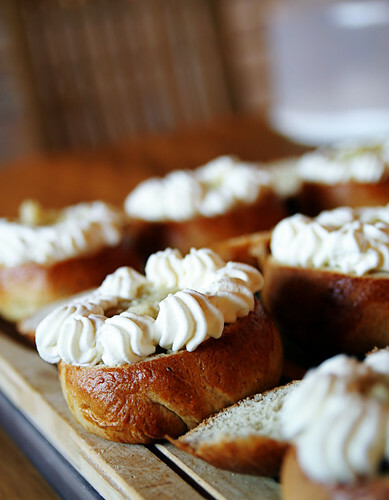 The bun soaks up amazing amounts of milk and becomes a warm, mushy mess, the whipped cream retains a bit of cool distinction before melting in your mouth, and the almond filling is the crowning glory, tangy and creamy and intensely almond-y. Rinse the peas and soak them overnight in plenty of water. Transfer (with the soaking water) to a large pot and bring to a boil. Peel the onions and cut them into chunks. Add the rest of the water and the pork, onions and marjoram and let simmer on a low heat for about two to three hours, until the peas go all mushy and start clouding and thickening the water. Either I screwed up with the water or the recipe calls for way too much of it - this is supposed to be very thick and goopy. I wound up having to separate solids from the liquid for a while and reduce the latter by a good half or so, which was a bit of a pain. Next time I'll be conservative with the water and just add more as the peas soak it up. Remove the pork shank from the pot and scrape the meat from the bone. 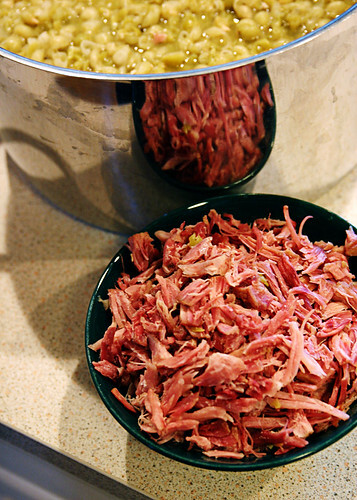 Shred the meat into small pieces and place back in the pot. Season with hot mustard and pepper (and salt, if needed) to taste. This is at its best made the day before and slowly reheated. It's served piping hot, with everyone adding more hot mustard and, in our family, garnishing with a dollop of smetana (sour cream). 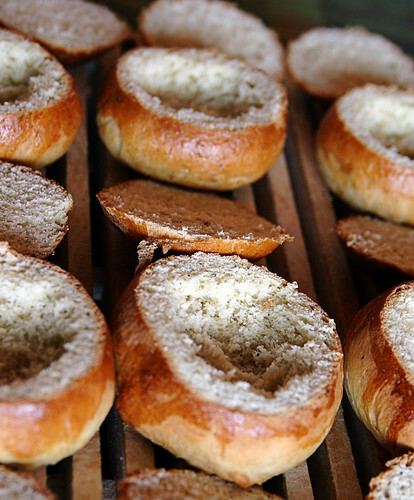 To make the buns: in a large bowl, dissolve the yeast in a few tbsp of milk. Melt the butter and pour in the rest of the milk. When the milk-butter mixture is lukewarm, add it to the yeast along with the cardamom, sugar, and egg. Mix in half the flour and work to a smooth, goopy dough. Let rest for a minute or two, then work in the rest of the flour in batches, kneading (or working with the dough hook in a mixer) until you have a shiny, springy dough. (You probably won't need all the flour - this is supposed to be a fairly loose dough.) Cover with a kitchen towel and let rise until doubled, about 40-60 minutes. 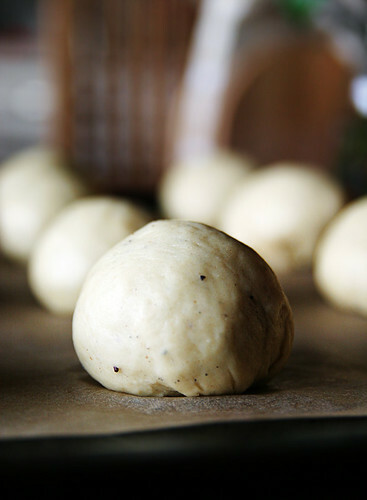 Gently press down the dough, kneading a few times, and cut into twelve pieces. Form each piece into a smooth, round bun (this is the part that gives me hives) and let rise for another 20 minutes or so on a baking sheet. Brush with lightly whipped egg and bake at 225°C for about 15 minutes. Cool on racks. Once the buns are cooled, cut off about a third of the top and scrape off a bit of the bottom part. Take the scraped-out filling and mix it with the almond paste (easier if you've shredded it), lemon peel, bitter almond and enough butter and cream to form a soft paste. Fill the bottom parts with almond mixture and pipe some whipped cream around the edges of the bun. Top with the caps you cut off earlier and dust with icing sugar. Can be eaten as such or in a deep bowl with almost-boiling milk poured on top. Moi, Mia! I lived in Vantaa as an exchange student (too many years ago to admit!) and still stay in close contact with my family there. 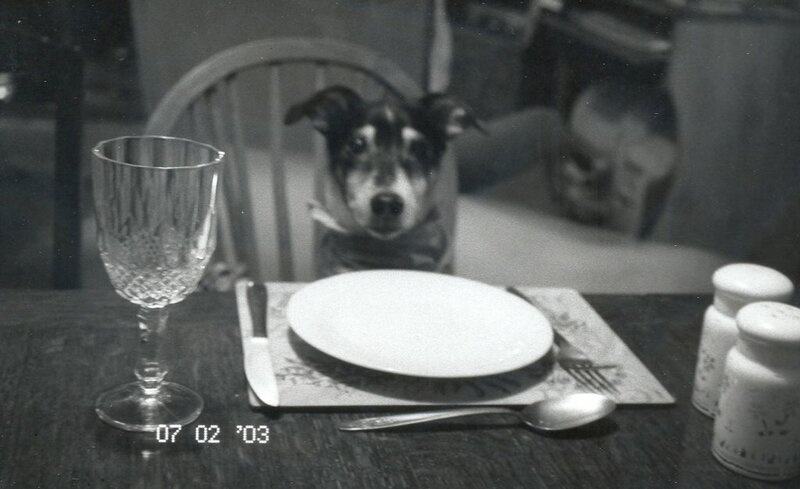 So I am particularly touched with your entry to Soup's On! Thank you! 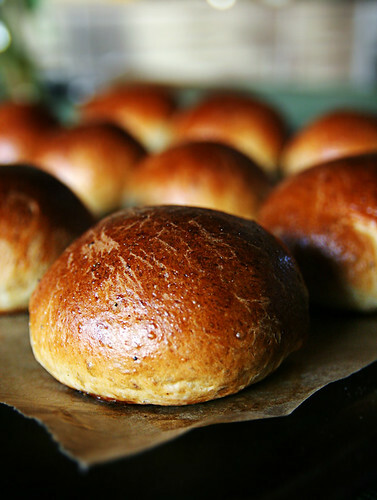 And I'm inspired to make the buns, which I remember so well -- haven't made pulla in the longest time and I think, yes, this is the week if not the very day. Kiitos paljon! "Puhun vahaan suomeksi nyt"
My brother claims there's no way to make pea soup better than what they get in the army. Maybe I will send him to your place for some of the left overs! You can't go wrong with almond paste. Where do you find bitter almonds? My goodness Deinin, you are off to a flying start with your blog! Stunning photos, varied and exotic recipes, lots of energy in all your descriptions... Keep it up! Tiinu: actually, I think your brother's probably right (at least according to my father and brother) - it does do better the larger the batch, and they have those "soppatykki" things and... but this was very very good! The bitter almond I have is some very fake "karvasmanteliaromi" from some supermarket, I think Jättijako. Astrid: thank you! This is a good season for me to think and write about food - I love hearty, stew-y recipes and while it's still cold and blustery outside, it's not so dark anymore, so I can actually get some pictures of what I cook. I love your photos! And the pea soup sounds marvelous. 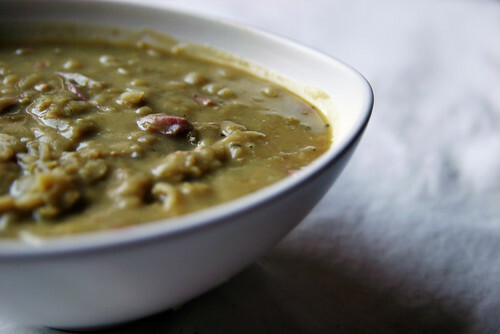 I have a Swedish friend who's always ordering pea soup, but I never thought to ask him if it was a traditional Nordic food. Now I know! Homesick Texan: thank you! 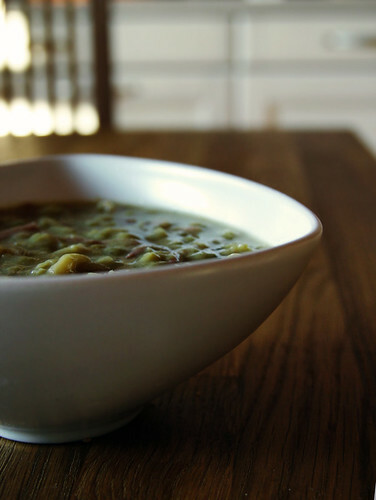 Swedish pea soup is a bit different, they tend to use thyme and, um, some fattier cut of pork I don't know the Enlish term for, and yellow peas instead of green ones, but there's really only so much you can do with the pork + peas combo. Freya: thanks! They're very photogenic, at least until you drench them in milk and they turn all soggy and yummy. 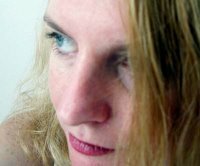 Thanks for dropping by my blog so I could discover yours!! Those buns sound amazing, I've never had one before! Bron, thanks! 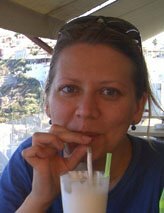 I've been lurking about in the foodblogosphere for several months now and finally got the courage to get all active 'n stuff. Pille - I had no idea you did it in Estonia, too; I thought it was just a Swedish thing we had adapted. The rest of the world can keep their pancakes! Sohvi - kun pikkublogini kaksviikkoissynttärit taisi olla tuossa eilen niin ei sitä kovin pitkään ehtinyt pimennossa olla! :P Kiva että tykkäsit, nyt alkaa olla päivänvaloa jo sen verran että saa siedettäviä kuviakin otettua. 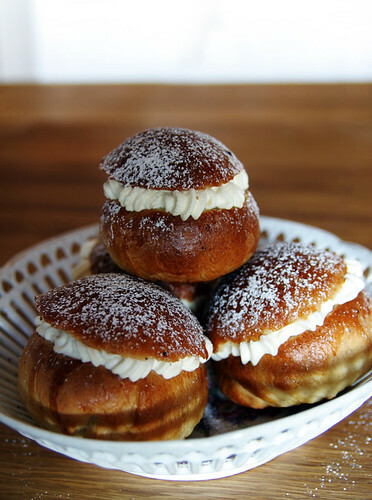 I like semla... and your photos look gorgeous! If I for some reason neglect to give out measurments in both metric and imperial units, Google is your friend and will ensure that you lose all ability to calculate conversions in your head. If you had any to begin with, that is, which I certainly didn't. Just type in [amount] [original units] in [desired unit] and hit search. Furthermore, 1 dl = 100 ml. This is a Flickr badge showing public photos from deinin. Make your own badge here.